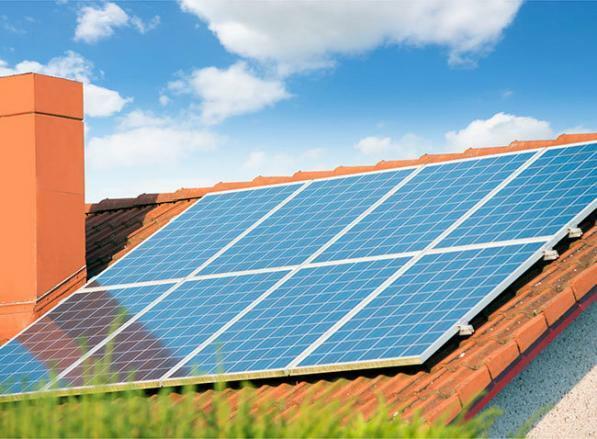 Solar Products - Baker Roofing & Construction Inc. 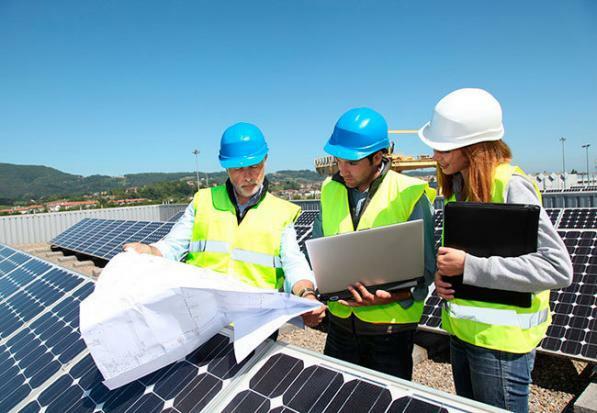 When most people think of solar energy, they think of residential roofing, but…clean, renewable, solar energy can be used in almost any commercial roofing project. 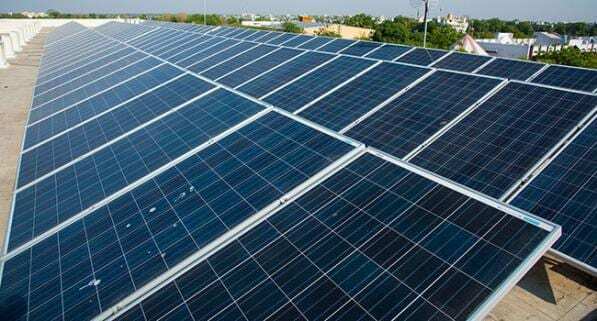 Your monthly electricity bill is likely one of your largest utility expenses, therefore installing a solar energy system on a commercial roof makes perfect business sense. Baker Roofing & Construction Inc. is ready to take your business solar. Solar energy will reduce operating costs, decrease your carbon footprint, and lock-in energy costs for the future. When installing a solar panel system, a business can expect tax breaks like savings on energy bills and a net cost much lower than the initial investment. The savings on utility bills will be permanent which makes solar a valuable investment….and in business, an investment is only a good one if it pays off in the long run. Texas based commercial property owners have some great resources available to them. One of those resources is the PACE (Property Assessed Clean Energy) Program. This program encourages commercial property owners to move forward in solar energy. According to Lone Star Pace, “Pace remedies the challenge of delayed maintenance by allowing efficiency retrofits to the property using recurring utility cost savings realized to pay for the upgrades over time.” 100% long-term financing is available, allowing positive cash-flow from day one. If your commercial building changes ownership, all PACE related assessments and “green” improvements are transferrable to the new owner. As a perk, there is currently a 30% Federal tax credit for all solar project costs that can be used immediately or spread out over several years. When considering commercial solar roofing panels, there are options for commercial flat roofs. There are flush mounted systems, self-ballasted mounted, and tilt-up penetrated systems. Sloped commercial roof installation options are on standing seam metal roofs, corrugated/trapezoidal metal roofs and composite shingled roofs. Baker Roofing will design and install a high quality solar roofing system for your commercial building. Commercial solar roofing will allow your commercial building to collect energy from the strong Texas sun and convert it to usable energy for your commercial building and property. As one of the most environmentally friendly power sources, it is quiet with no pollution or noise. More and more commercial property owners/operators are moving to solar energy to save on energy costs within their buildings. If solar energy is what you want for your new or existing commercial roofing system, Baker Roofing & Construction Inc. will install the correct, low maintenance solar roofing system for you. Our skilled and knowledgeable technicians will install your solar panels with precision and adherence to industry specific guidelines. This will guarantee an easy and cost-effective energy supply for your commercial building, increasing the value of your building and your business. Call Baker Roofing & Construction Inc. for information and a full commercial solar energy assessment.